This EXCLUSIVE Pop! 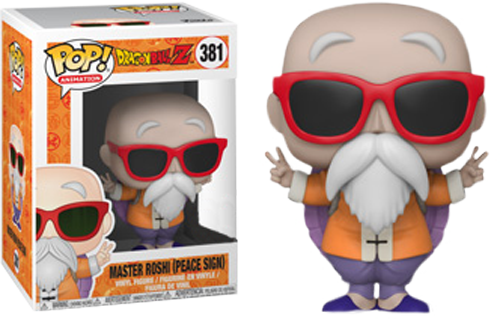 features the Turtle Hermit himself, Master Roshi, a master of martial arts, who trained Gohan, Ox-King, Goku, Krillin, and Yamcha. He's featured here giving the peace sign. Adorable!